For the world best teacher! 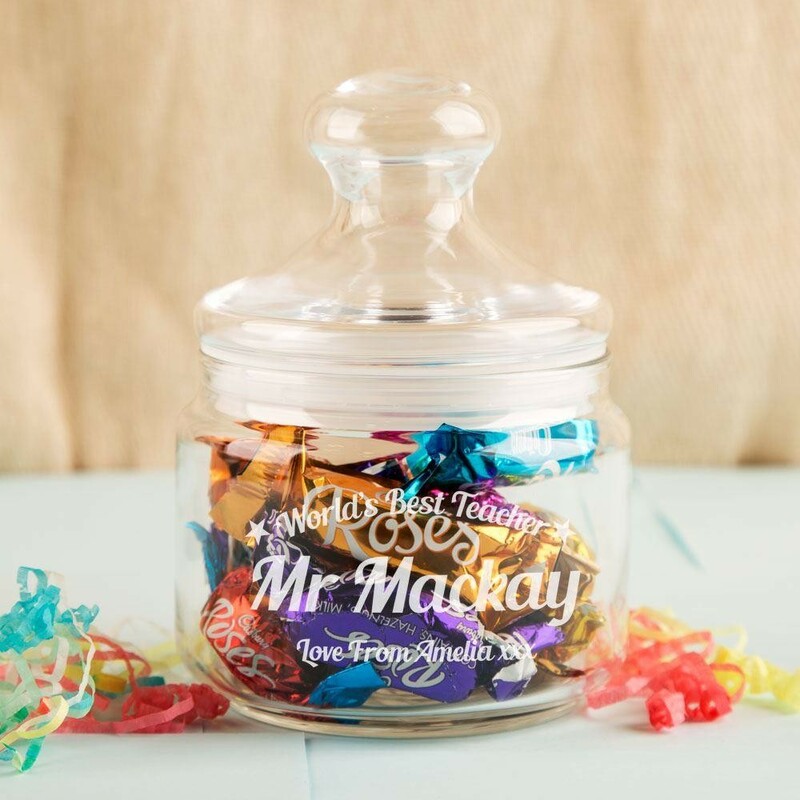 All teachers deserve treats – show them how much you appreciate them with this customised glass jar, filled with their favourite sweet treats! It makes a perfect “Thank You” gift at the end of a term or at Christmas. 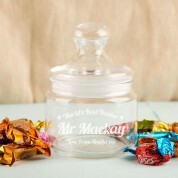 The retro sweet shop style lidded jar looks classy no matter where it is sitting. If they keep it on their desk, they might be kind enough to share some with you! 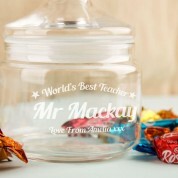 We personalise it with the teachers name and sweetie choice. There is even room for a short personal message. 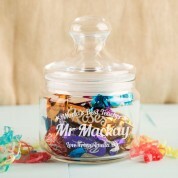 A keepsake they can enjoy for years to come to remember they favourite students!